Facing a challenging situation, like a dragon attacking your office? Maybe not. But maybe you've been in other challenges. This article equips you with the tools to handle them with ease. Have you ever been in a challenging situation at work? Maybe a website went down and you had to fix it, while, at the same time, trying to appease an angry client? Maybe you had to give a presentation to a roomful of skeptical, intimidating people? Maybe you had a grueling performance review after making a serious mistake? Or maybe a dragon attacked the office? Watch this video of US marine drill instructors shouting at recruits. For the first 3 months of a recruit's life, the drill instructs are basically shouting at them the entire time. Why do they do this? Are the drill instructors all sadists who enjoy torturing their soldiers? No (well, okay, maybe some of them do, but they don’t enjoy it, for the most part). So why? Say what you will about the United States military, they are very good at killing the enemy and winning wars. Of the branches of the military the Marine Corps is particularly effective. After completing the training, a marine recruit will be going to a war zone. There will be explosions, people screaming, guns firing, engines rumbling, and officers shouting orders, and the young soldier will need to keep a cool head, listen to the orders and fight effectively. The drill instructor is preparing the recruits for this kind of situation with their constant shouting. The recruits eventually learn to handle the intensity. They develop the mental toughness that makes them able to handle the realities of war. So, that’s what you need to do to prepare yourself to handle a challenging situation. Repeatedly put yourself in such situations, or situations that closely mimic the challenge. You will eventually adapt and learn to handle the pressure. Slow down. We all tend to speak too quickly when nervous. Make a conscious effort to slow down your speech. It will help keep you calm, and it will also help those listening to you make sense of words coming out of your mouth. Also, try to be helpful, not defensive. It’s easy to get close up and defensive when you feel threatened. Instead, let any insults, real or imagined, roll off you, and do whatever you can to help. Sometimes, in a meeting, a notorious rambler will start speaking and won’t stop until many hours later, that is, unless you interrupt them. Sometimes everyone will want to get a word in, and if you wait until it’s your turn to speak, your turn will never come and no one will hear the important thing you have to say. That’s when it’s time to interrupt. Speak up and keep speaking until whoever is currently speaking stops speaking and you can get your point across. It’s hard to do at first, but it gets easier with practice. Look at the person you are speaking to. It’s far easier for others to understand what you are saying when they can see your face. The human brain interprets mouth movements to help understand what someone is saying. That’s why the McGurk effect works (check out the video demonstrating the effect—it’s quite amazing). Additionally, your words will be more effective when their power is focused. You can better engage with one person by focusing your attention on them, and you can better engage with an entire audience by focusing on one person in that audience. Adopt a proper internal attitude when going into a challenging situation. Your internal thoughts about yourself reflect out into the external world and determine how people perceive you. So, internally you should be: confident, detached and firm. That is, you should be thinking: “Yeah, I got this. Bring it! Is that the best you can do? I really don’t care what you say. But regardless of what you say, you'd better listen to me!”. As much as it’s nice, be internally confident and detached, there is no need to tell everyone. People might not appreciate it, especially if they have a problem that they themselves are really concerned about. So instead, be externally concerned and emphatic. 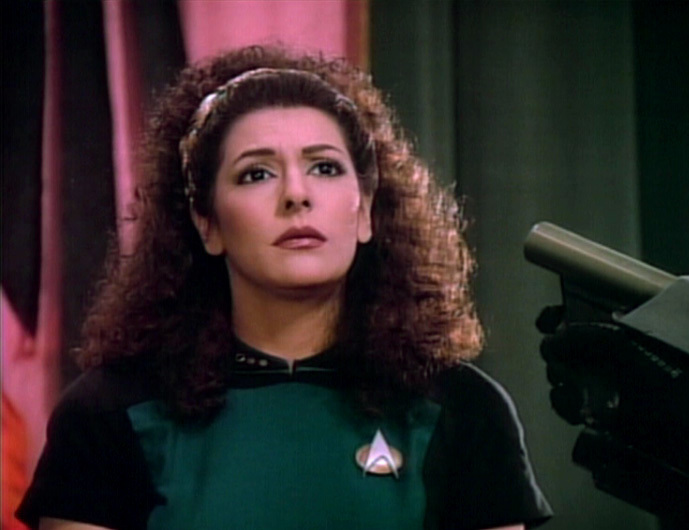 Be like Counselor Deanna Troi from Star Trek The Next Generation: emphatically relate to other people’s feelings, and show real concern about their problems. Those problems are not your own and not yours to own, but you will do what you can to help. When faced with a challenging situation, there are a number of little tricks you can use to help manage. Stall for time: sometimes you just need some time to investigate something without people shouting at you. So, ask for a break to reconvene the meeting after 15 minutes, or say you’ll have to get back to someone later, or simply excuse yourself for as long as you need. Summarise: in a long meeting or complex discussion, it makes sense to summarise everything that has been said so far. That makes matters clear in your mind, and helps everyone else, too. It’s also a great way to fill awkward silences when everyone is out of ideas. Escalate to tier-3 support: when faced with a website outage, say you’ll escalate the issue with tier-3 support. Tier-1 support usually answers the phone and does basic diagnostic. Tier-2 support is more specialised, and tier-3 support has the best specialists who know a particular area in-depth. Even if your company doesn’t have tier-3 support, you can still say you’ll escalate to them and then frantically run around the office, asking anyone you find for help. Name emotions: if the discussion gets quite heated, or emotional, it’s a good idea to name the emotion, e.g: “It seems everyone is feeling quite angry about this issue”. Naming the emotion gives it less power. It allows people to take a step back from the situation and evaluate it objectively. Suggest tasks for others: when you are under the gun, you can gain some headspace by delegating things to others. Even if a task isn’t something assigned to you, if you can think of something that might help a situation, suggest it and volunteer someone for that task. Accept responsibility: when Apple Maps launched with iOS 6, it fell short of customer expectations. Apple CEO Tim Cook didn’t make excuses for the poor quality product. Instead, he said: “We screwed up. That’s the fact (source)." Be like that. If something goes wrong, and it was your responsibility or your company’s responsibility to prevent it going wrong, own up to the fact, accept responsibility, apologise and commit to doing what you can to improve the situation. The challenging situation has passed. You might be a bit battered, but you’ve survived. Now you need to take some time off to recover. You won’t be productive right after a big challenge anyway. So, take some time off, get out of the office, visit nature, meditate, listen to your favourite music, play a game, do whatever you do to regain your mental strength. Tomorrow is another day and another challenge awaits. Good luck, soldier! As for me , the best way to calm yourself down is to think whether this unpleasant situation will still matter in a month or two.